The Moulinette Station was erected c.1910 through the lobbying efforts of Mr. John G. Snetsinger, Member of Parliament for Stormont County, 1896-1900. 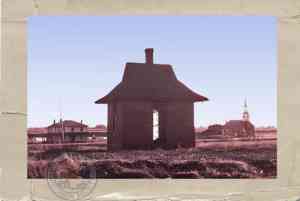 The station was erected on the east 1/2 of Lot 31, Concession 1, Township of Cornwall, on property purchased by the Grand Trunk Railway from Rev. Stephen Brownell in 1854. 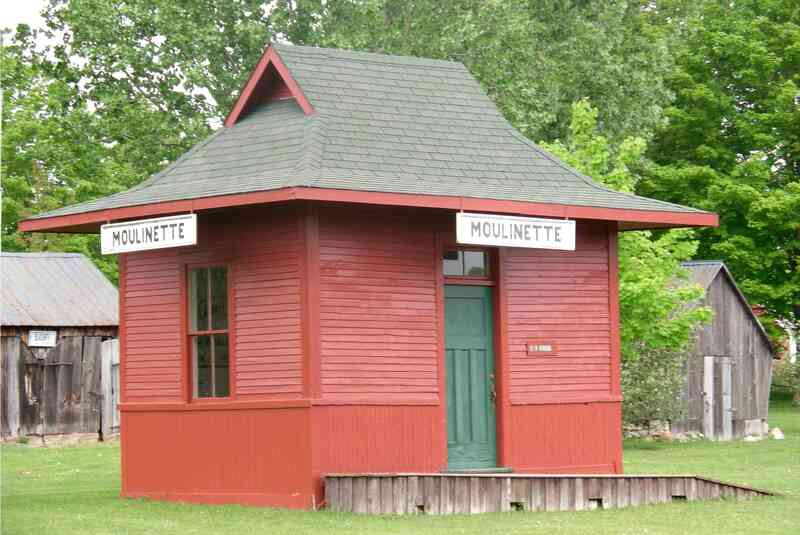 The station served passengers on the Grand Trunk/Canadian National Railway at Moulinette, Ontario. 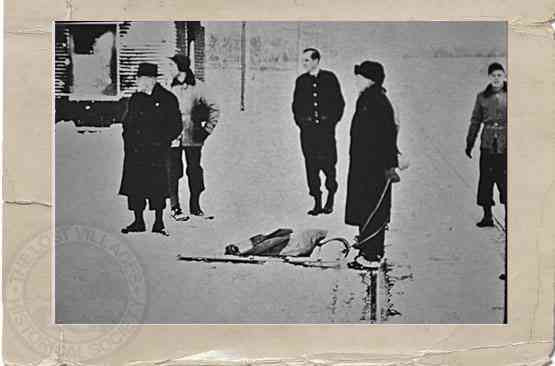 It received passengers, mail, and goods via the Moccasin train on its runs between Brockville and Montreal. Prior to inundation, the station was moved by Moulinette resident Elgin Alguire to his farm south of Avonmore, Ontario. 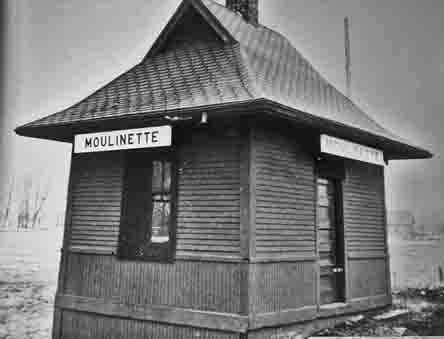 Moulinette station at it’s original location, tracks have been removed, along with most of the buildings in town. In 1995 the station was moved to the Lost Villages Museum site in Ault Park and restored to its original look as a rail depot. The frame structure with clapboard and vertical pine siding has a gabled hip roof, with asphalt shingles. The roof was refurbished through the careful study of old photos. 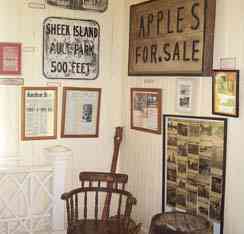 The interior is mostly original, with tongue and groove elm on the walls, ceiling and the original floor boards. 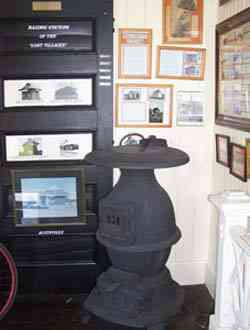 A central brick chimney has been removed, although the chimney opening still exists in the ceiling. 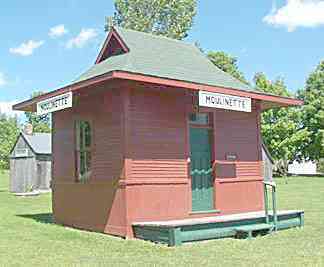 Between the original move from Moulinette and its final move to the museum, the station did serve as a bicycle shop and at some point a garage. 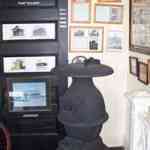 Waiting for the Moccasin to arrive, mail going to Cornwall was sorted, postmarked and delivered the same day. 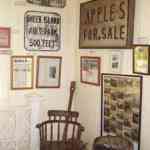 The Moulinette Station was donated to The Lost Villages Historical Society by Mrs.Olive Alguire, widow of Elgin.